Everyone’s approach to dealing with a chronic illness is different. For myself, it wasn’t long after hitting my brick wall with Chronic Lyme Disease, that I began persistently doing research on health, the human body, and food, in hopes to do all in my power to heal. That being said, one of the first blogs that I bookmarked years ago, on my browser’s side bar, was a site by a woman named Angie Alt, called “The Alt-ternative Autoimmune.” At the time, I was eating full on Paleo, with a few exceptions, including the elimination of nightshades, nuts, seeds, coffee, and a variety of other foods otherwise tolerable for those simply eating Primal. However, what caught my eye on Angie’s site, was that she was actively trying to overcome autoimmune disease(s) through an autoimmune-paleo approach. Overall, this served as just the beginning of my journey with learning, applying, and benefiting from what is now called “AIP,” or the “Autoimmune-Protocol,” initially outlined by Dr. Sarah Ballantyne. 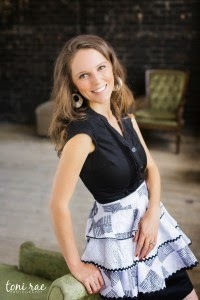 Now, not only does Angie blog with her dear friend Mickey Trescott at the Autoimmune Paleo, but she also recently came out with her first cookbook, “The Alternative Autoimmune.” It is always exciting to see someone I have followed for a long while, write their very on book, and Angie’s book is no exception. Today I will give you a quick look into what the cookbook is as a whole, as well as your own chance to win it in ebook format! 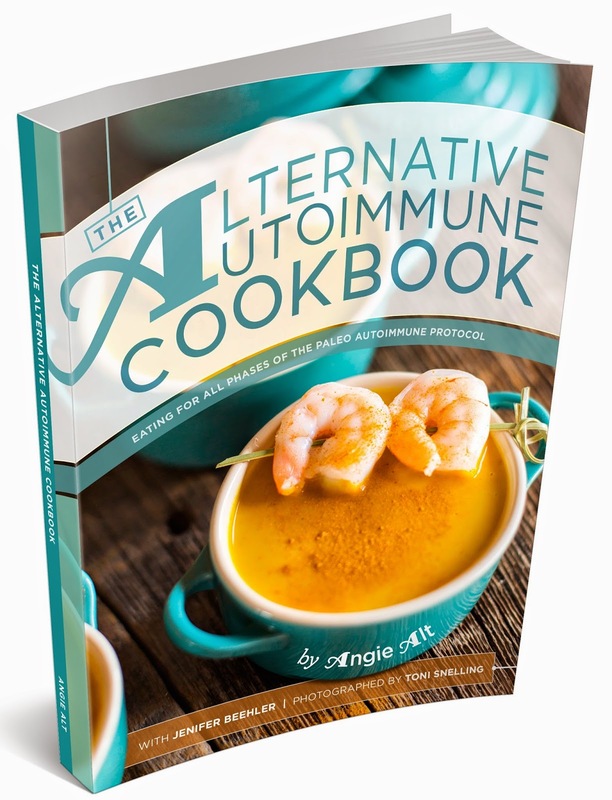 With a diverse recipe index, and a title including the word “cook,” you would most likely suppose that Angie Alt’s Alternative Autoimmune Cookbook is strictly a book filled with food related information that helps one comply to the Autoimmune Protocol. However, the book itself is so much more than that. Like Angie says herself, she is a storyteller, and though food has a large part in healing and fighting back against a given autoimmune disease, one certainly does not have to be a trained chef to succeed in using food as medicine. Besides the beautiful, bright layout, the cookbook itself is set apart from others of its kind, in that it specifically written for those in all stages of the Autoimmune-Protocol. First, the basics of the autoimmune elimination phase are explained, as well as foods that are used to heal, and those that are eliminated. Not only does the book provide what not to eat, but also how to slowly take the foods out of one’s diet week by week, something that can serve extremely beneficial for those afraid of jumping head first into the protocol. Next, the topic of reintroductions of food is tackled, which, frankly, is a lot easier sounding than actually done. However, Angie discusses many of the emotional and psychological aspects that come with adding foods back into one’s diet once remission of a given autoimmune disease has been accomplished. She also provides a very helpful chart that instructs one in the order of which one should do so. Throughout all of these sections, the “rules and regulations” of AIP are paired with a perfect balance of humor and honesty by Angie herself. Suddenly, following the protocol won’t seem so impossible, as the support and information provided will equip one with all of the confidence they would need to begin their healing journey. For those are a visual learner, the cookbook will be especially eye catching for you, as there are multiple charts and spreadsheets of how to eliminate foods, when to reintroduce them, and all of the different stages to do so, as well as a beneficial food reaction checklist, food journal, and wonderful food photography that will have you licking your lips and anxious to get in the kitchen to cook. 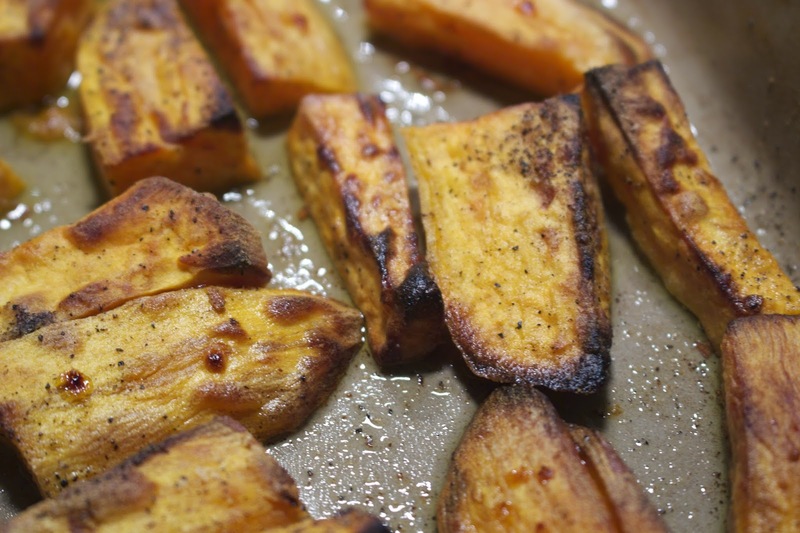 a rather straight forward recipe that is quite similar to what my mother makes, yet with a slight twist that made them completely new and exciting to their taste buds – Peppered Duck Fat Sweet Potatoes, of which my parents especially loved. My mother told me make sure and include the fact that they were even better eaten as leftovers in the days afterwords, heated up in a 400 degree oven for 10-15 minutes. Next, I made the cucumber spaghetti squash salad as yet another side dish to my families dinner. It was truly a delicious recipe that we will certainly be making later on when the warmer months of summer arrive, and my dad even enjoyed it cold, the next day at lunch. I also took advantage of the head of purple cauliflower in my fridge while visiting family last week in Colorado, and made the turmeric ginger roasted cauliflower, served with my sweet and sour meatballs. 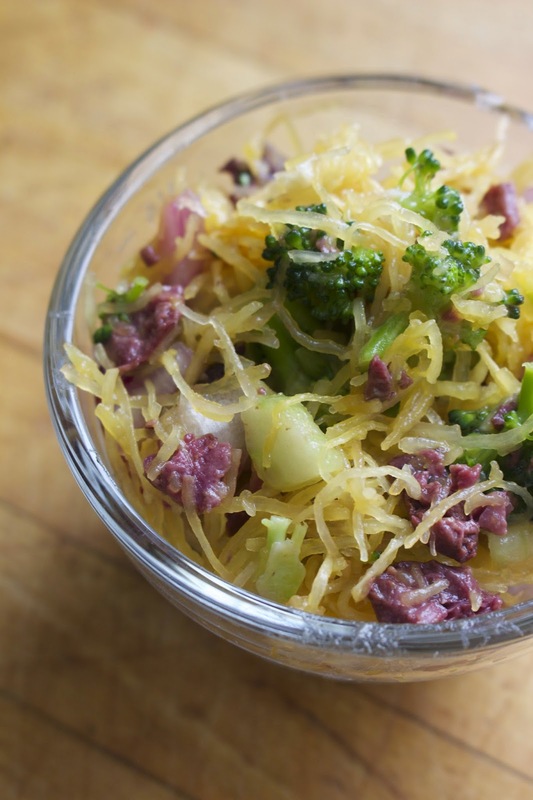 Despite many of my family members not being especially fond of the cruciferous vegetable, everyone really loved it, proving that Angie’s recipes can win over even picky eaters. Overall, I can not express how much I have enjoyed being able to have a resource like Angie’s. 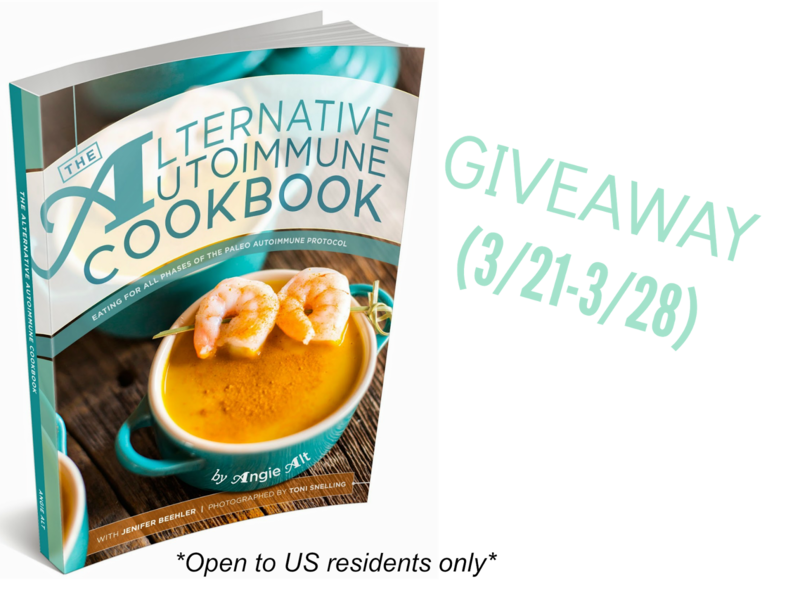 Because of how much I truly stand behind the Alternative Autoimmune Cookbook, and because Angie herself is very gracious, today I am giving away a free e-book version of the cookbook. Hopefully, you will find it just as inspiring, helpful, and funny (in a good way) as I did. While you are busy entering the giveaway, make sure to head on over to Angie’s Instagram, where she is giving away two aprons (one for a commenter and one for the commenter’s friend), every Monday, until they are gone, so don’t miss out! Overall, not only does The Alternative Autoimmune Cookbook make you realize that no you are not alone in your autoimmune disease, and after making your way through all of the stories, recipes, and useful charts, you will see just how powerful food and lifestyle changes can be for turning your life around for the better. I’m always looking for new interesting recipes to change up my aip meals! This book would be a great addition to my library. I’ve just stumbled your site while researching AIP as I have recently been diagnosed with an autoimmune disease and I’m actually starting my AIP journey tomorrow after a visit to a farmers market today. Thanks for your wonderful site and the opportunity to win what sounds like a great book. I’m just about to start an AIP regimen to try to overcome some long-standing health problems! This book would be amazing! I am always looking for new and tasty recipes for AIP, so this book will be a definite plus for my library. As you know I like to recreate recipes so this will give me string board from which to work and another place to go for tasty recipes. Thanks for the recipes that you post. I am about to start an AIP diet for health reasons and this book would be a great help! Thank you so much for this giveaway! 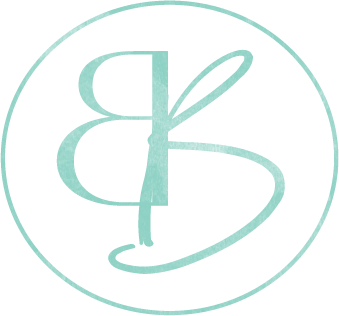 I just found your blog via pinterest and I’m quite glad I did! I’ve been mostly AIP for quite a while, but will have to modify my diet even further to be low oxalate. More recipes to choose from and adapt would be very helpful! Errr, what happened…oh well, try again. 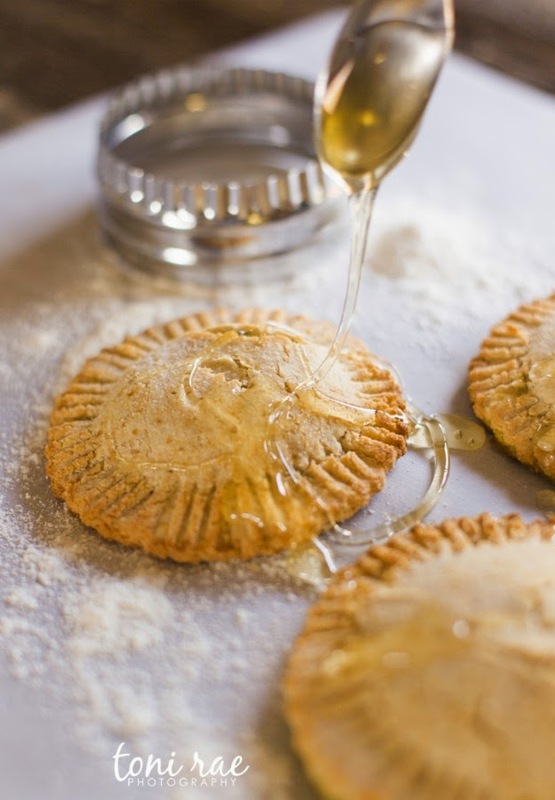 Thank you, Gabriella, for the chance to win what looks to be a fabulous AIP cookbook. It would be great to get another perspective and approach to AIP as well as more yummy recipes to help me stay on track. Thank you for this opportunity! I am 19 days into my AIP journey and am excited to continue learning and feeling better and better! This looks like a yummy one, by the way. I have several new paleo cookbooks to use in my path to better health, and yet this one still keeps catching my eye. It just looks like it will be top of the list! This book will be supportive as I move into AIP. I live in a small town in MT and I feel like a lone wolf. My extended family doesn’t completely understand or agree that this change is the answer for my Hashimoto’s. I was full-on paleo for a bit only to discover my thyroid antibodies did only went up. So, I’ve added some foods back in and am waiting until my allergy tests come back before jumping into AIP. A book that shares the emotional piece will be just as helpful to me as the recipies will be.